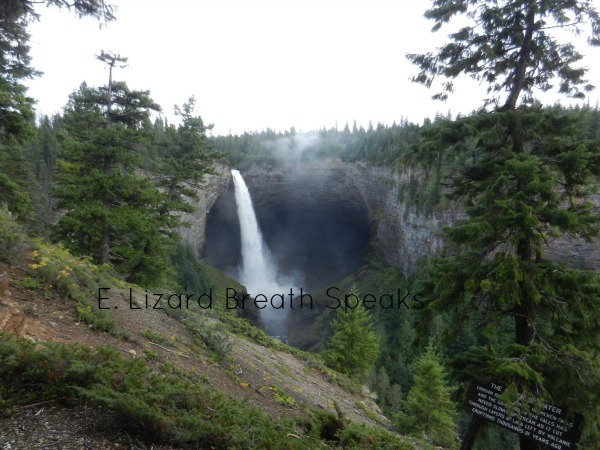 Helmcken Falls, this waterfall is amazing. If you wish for measurements, this one is 121 meters (that is a lot of meter sticks?? right??!) & Niagara Falls (are they measuring the US side or the Canadian side?? hey, seriously??!) is 52 meters. Does that mean anything to you math folks? Of all the waterfalls within this area this one is a must see. If you have just a few moments to spare ...this one beats them all. You can see the steam, fog & mist ...the power is amazing!!! Can you imagine it in the snow? They had pics of it online & on a billboard at the waterfall site, I don't think Canada is some where to be when it snow? But I am not sure??! Listen to that video below. You will be amazed!! Promise! Utterly gorgeous and amazing, love it! Hello Beth, it is a beautiful waterfalls. Great photos and video. You have me wanting to visit Canada now. Have a happy day! Beth, so beautiful and lovely sound. We will be in Maine in July/August, so will probably venture into Canada, but haven't really looked at the possibilities as yet. Beautiful! The sound of rushing water is simply amazing... as long as it stays where it should. I enjoyed the video. 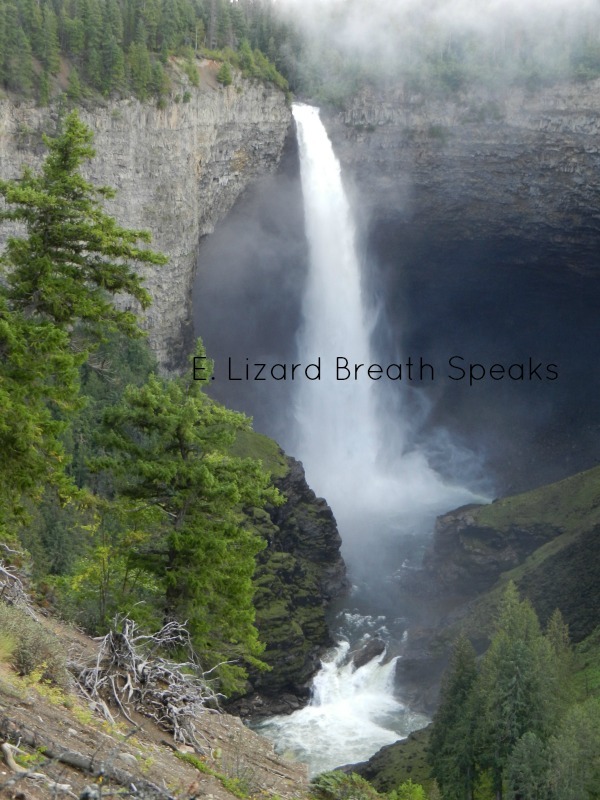 It is a beautiful waterfall- it stands out so well! I can see why you are saying this one is a 'must see'. It's beautiful! Thanks for sharing another amazing waterfall. Hi Beth, This is gorgeous and I love the sound. I visited Niagra Falls when I was 12. You are fortunate to see all these beautiful spots and I appreciate you sharing with us. We had visitors from Canada a few weeks ago and I do not envy their winter months at all! Wow!That is an amazing waterfall and so stinkin' beautiful! Wow- outstanding! For a second I thought you slipped! The power of all that water is just amazing to see, and hear. Seems like if they were measuring the American Falls they would use feet or yards. Your images are great to see! Having just returned from Niagara Fall I enjoyed viewing your posts of your visits to falls. They each are awesome in their own way. Thanks for sharing the photos. that is a huge one!